In recent days, the Russian retail market has been shaken by a major merger which came out of the blue. Krasnoe & Beloe merged with two other chains Dixi and Bristol creating the third largest retailer with 13,000 stores in Russia. Analysts call Krasnoe & Beloe as “the pearl of the deal”. The company has been the fastest-growing retailer in the country in recent years. The first store was opened on the outskirts of Chelyabinsk in 2006. In 2018, only 12 years later, Bloomberg estimated the fortune of the founder Sergey Studennikov with $ 1 billion. At that time, the retailer counted 6,700 outlets in 57 of 85 regions across the country, and 100,000-plus employees. The sales jumped about 50 percent to 215 billion rubles ($3.3 billion) in 2017 and another 40 percent in 2018. Six new stores were opened on average every day, and there was no intention to slow down. 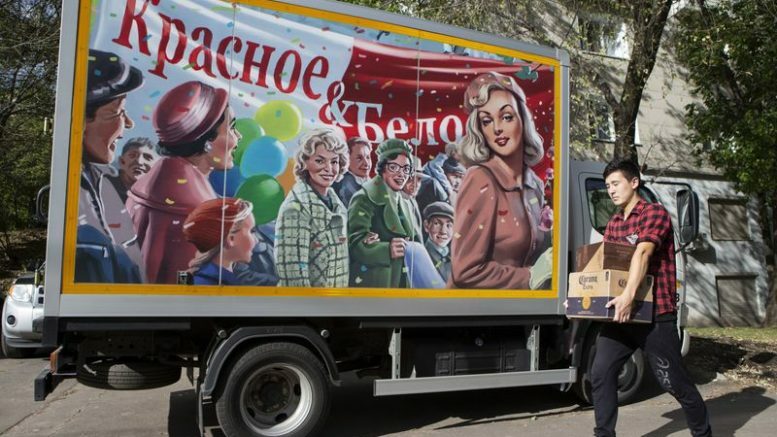 Krasnoe & Beloe was on the on pace to overtake Metro, Dixy, Auchan and Lenta for the third place among Russian chains by 2021. But interestingly enough, Studennikov holds only 49% in the merged company. The owners of Dixi and Bristol, Igor Kesayev and Sergey Katsiev, acquired 51% by paying their partner off. People close to the deal claim that it came unexpected. The trigger could have been the investigation against Krasnoe & Beloe started by the Federal Tax Service and the Federal Security Service. In December 2018, the offices and warehouses of the company were searched for alleged tax evasion and dealing with counterfeit alcohol. Short after, the company denied the allegations. The previous cases of major tax claims against retailers in Russia ended with either a change of owners or bankruptcy. More details are not known yet, but sooner or later we will learn what forced the owner of the fastest-growing retail chain to give up the majority in his business. To learn more about Sergey Studennikov and his business please read his interview.